How to run Android apps in Microsoft Windows? 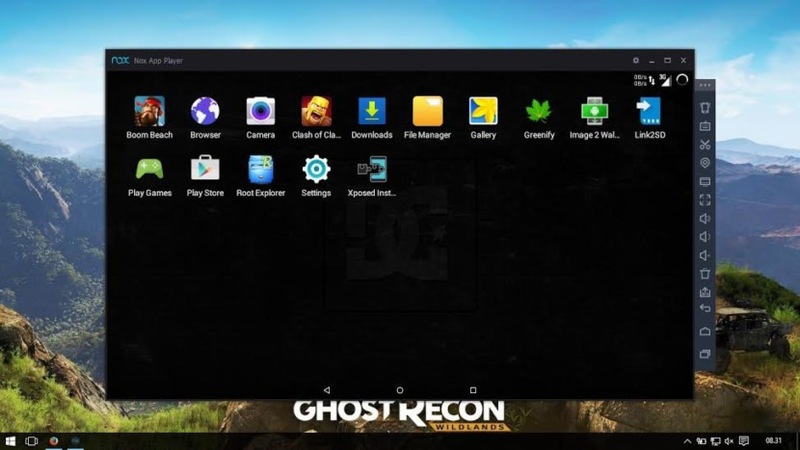 You can run some Android apps on a Windows PC or laptop using an Android emulator app. Most games will run perfectly on these emulator, except for those that requires a sim card, such as WhatsApp or SnapChat. BlueStacks was founded in 2011 to push the boundaries of the mobile ecosystem. Today more than 130 million people around the world use our App Player product to run mobile apps and games on bigger screens using our patented Layercake technology. BlueStacks runs Android OS and apps on Windows PCs with instant switch between Android and Windows – no reboot is required. End consumers can now enjoy their favorite Android apps on Windows PCs. 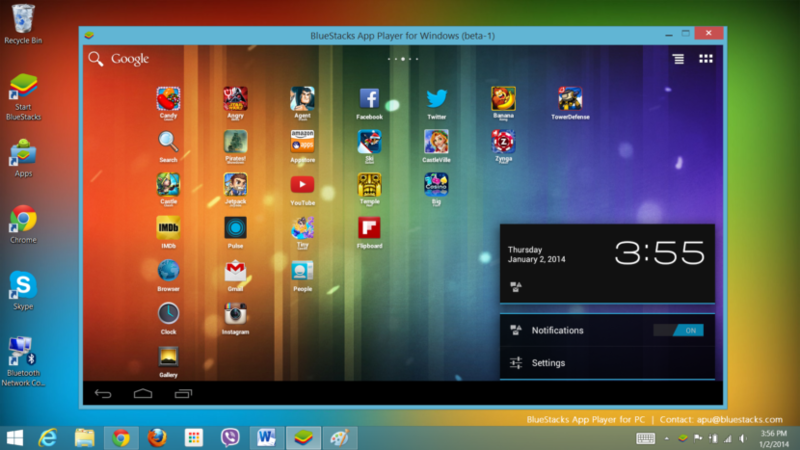 Android apps can appear either as icons on the Windows desktop, or within a full-blown Android environment. Nox App Player: The best Android emulator leading in technology and performance. 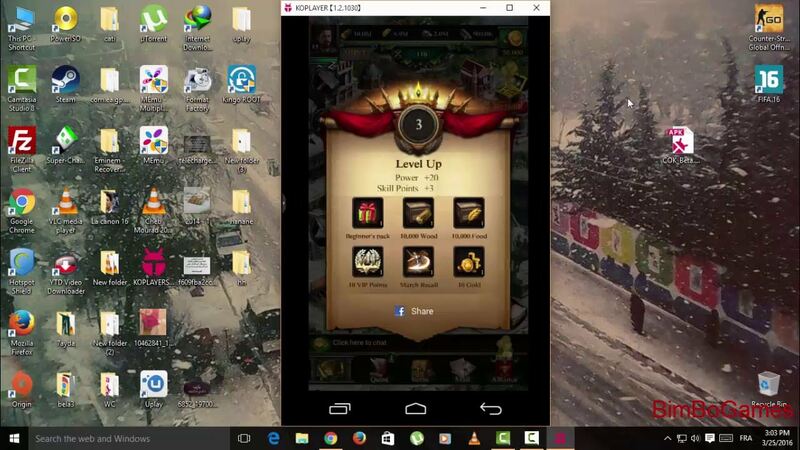 A free tool for users to enjoy the numerous Android games and apps from their desktop with ease. Tailor-made Nox App Player for Game Developers: Programming Nox App Player to meet the specific need of game developers. 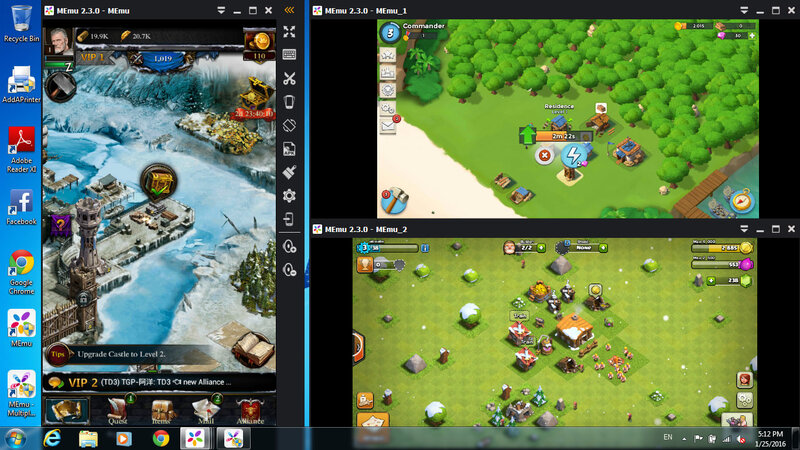 Re-design the software UI to create a specific game-oriented or brand-oriented Android emulator for game developers. Help convert android mobile games and applications to windows-system compatible software that could run on PC. Works great on Microsoft Windows 10. Comparing to other Android emulators, MEmu provides the highest performance and greatest compatibility. It runs on nearly all Windows devices (PC, notebook, 2-in-1 devices, tablets). MEmu App Player is a powerful Android emulator and aims to provide the best experience to play android games and apps on PC. Because of the leading performance and unique multiple-Android-kernels support, MEmu has more than 15 million users in over 200 countries and 20 languages, and it’s still growing rapidly. KOPLAYER is a best & free Android Emulator for pc that enables all Android games and apps to run smoothly in Windows systems. It built on x86 Architecture, support advanced features like OpenGL & hardware acceleration, run faster, more stability and compatibility than other Android Emulators. KOPLAYER Android Emulator for pc support multiple accounts, video recording, gamepad & keyboard, and internal integrated Google Play store to compatible with all apps, more than 99% apps & games Running perfect on KOPLAYER. I experienced some small bugs with KOplayer like the camera not turning on when on Snapchat. Bluestacks works just fine. 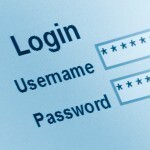 I think you have to upgrade the new version to create an account. Is it compatible with your windows? im having trouble with the 2nd verification in bluestacks im stuck… i want to watch my favorite show on mobdro but the verification keeps on popping up.